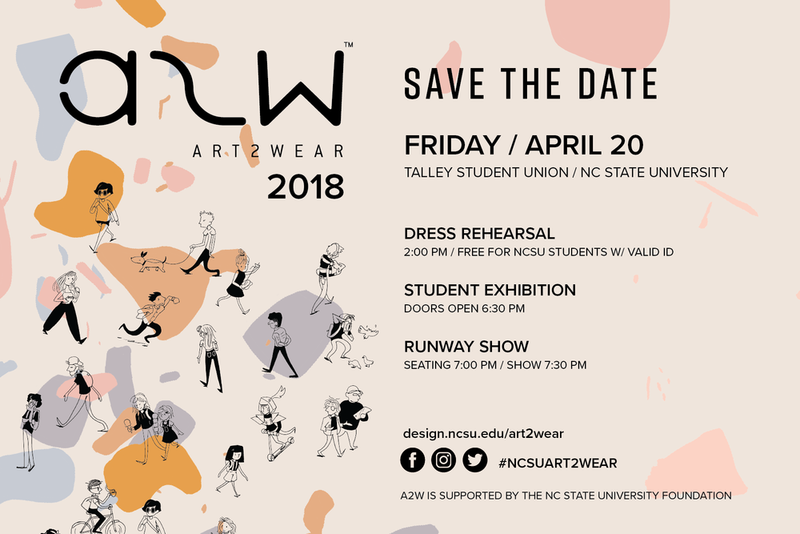 Art2Wear (A2W) celebrated its 18th year as a student-organized show of wearable innovations created by students of the College of Design at North Carolina State University. This annual event, one of the largest events on NC State’s campus, attracts over 1,000 individuals. 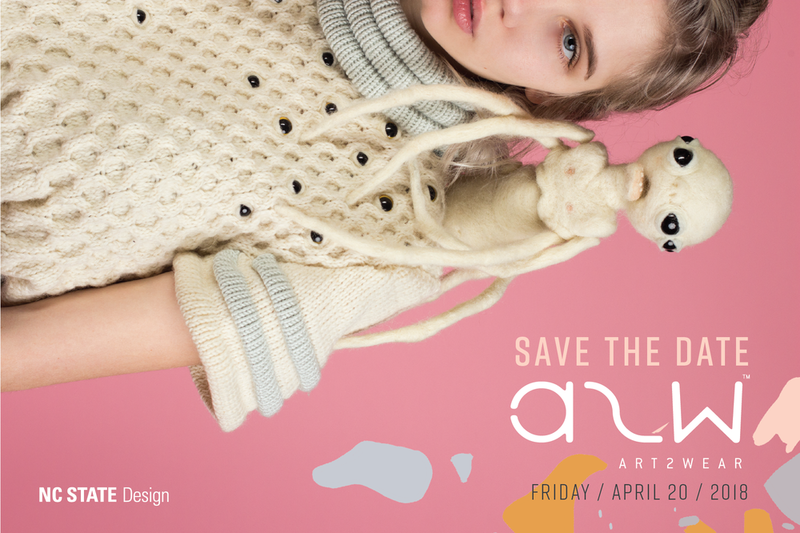 It is organized by students and hosted by the College of Design’s Art + Design department, and displays juried student work each Spring through runway and exhibition. As the Student Director of Art2Wear, I was in charge of much of the creative direction for the show. This includes working with a team of student designers on printed assets, videos, animations and many other materials. It also meant that I, along with the Faculty Advisor, Justin LeBlanc, were in charge of developing a theme for the students to design around. The process of ideating began in August 2017. I was also tasked with interviewing and hiring a team of students to work on the show. The positions that these students filled were related to graphic design, fundraising, photography, art direction, and others. Working closely with the Artistic Director, Emily Parker, who created much of the content below, we developed a visual language that mirrors the idea of “Caesura.” Looking into the small moments of pause within the lives of individuals, Emily created illustrations of people on NC State College of Design’s campus. She also illustrated garments from the final collections that were included in the program booklet. One of the largest tasks of the entire event is that of designing the Art2Wear Program Booklet. This printed asset is one that includes information about the student designers and their collections, the committee heads, sponsors, and statements from a variety of individuals. Claire Allison, this year’s graphic designer, created the beautiful layouts seen below that include Claire Tracy’s stunning photography. Much of the work that I was responsible for throughout this process was related to the general production of the show. As the Student Director, I was in charge of communicating to the student designers, leading committee heads and members, and running the show in April 2018. Art2Wear 2018 was fully documented and can be viewed through the video below.